The Divinity Original Sin 2 Definitive Edition is almost a new game in itself as it brings massive new challenges and updates to the game. And since this is the case, a new rating is much fitting, that is why the Entertainment Software Rating Board ESRB was recently able to give their official rating and summary for the game. “This is a role-playing game in which players assume the role of a hero on a quest to stop an evil called the Void. From a 3/4 overhead perspective, players explore the fantasy world of Rivellon, interact with various characters, and engage in turn-based combat against human enemies and fantastical creatures (e.g., demons, skeletons, giant insects). Characters use weapon strikes and magic attacks to defeat enemies in combat; battles are accompanied by blood-splatter effects that stain the surrounding environment. Some areas depict large pools of blood amid human corpses and dismembered limbs. If you are curious about the changes that were made to the Definitive Edition, it can be seen in the game’s Kickstarter page. We have attached it below for you as well. Almost 150K words of text changed and over 130K new words recorded, plus some voice and text fixes. A new tutorial has been added at the start of the game, complete with its own characters and gameplay. Some fights have been re-balanced to make the challenge curve flow better, plus all-new fights. A new Story Mode will be added that’s even easier than the existing Explorer Mode. Players can switch between modes to either make fights easier or ramp up the difficulty at any time. Lots of balance and performance tweaks. 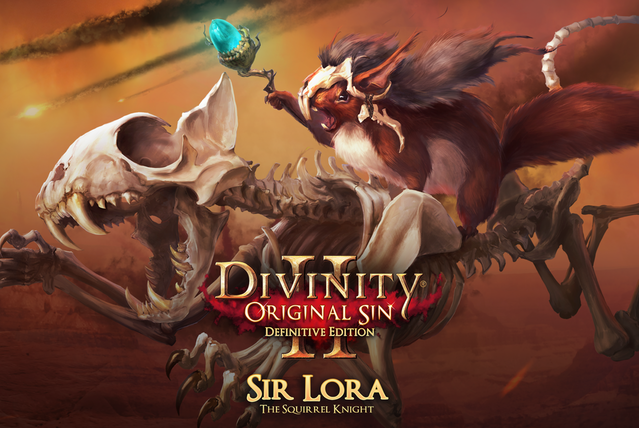 Sir Lora, the Squirrel Knight, joins your party to enlist your help to stop the Great Acorn from bringing the apocalypse. No significant graphical, UI, gameplay and story differences on consoles, however the Game Master mode won’t be ported. The Divinity Original Sin 2 Definitive Edition, is launching on August and is free for those who own the original version of the game. The exact dates will be available soon. Right now, no PEGI was made available.